They shall be joining us at the 6:05 to 7:30pm class. 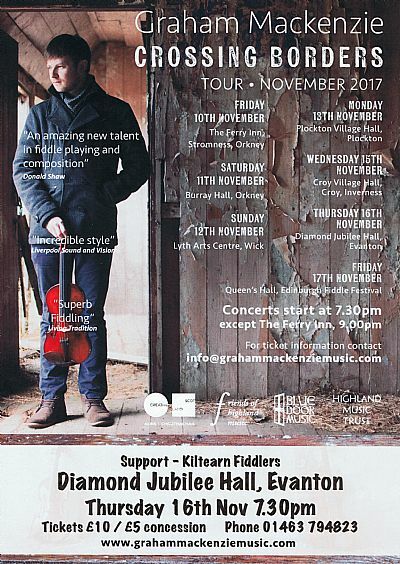 Kiltearn Fiddlers performed in Dingwall's Tulloch castle on the 22nd of September and 6th of October. Our new CD is now available to buy online as a digital copy, or hard copy from bandcamp. By buying this cd you will be supporting the fiddlers and letting them be able to go to places like Llangollen and other trips. Dingwall Christmas Lights Switch On - 10th December. Foulis Castle Daffodil Tea - 23rd May. We played at the daffodil tea again this year although due to the cold and showery weather we ended up playing indoors. It was a great day again with a good turnout. Once again, we played at the Inverness Music Festival. 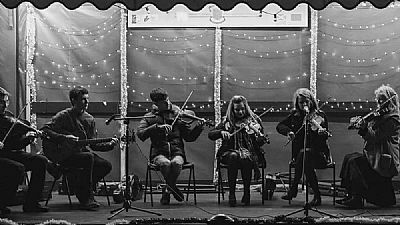 Some great new bands cropped up this year, including one band from Ullapool who deservidly took away the trophy this year. In 2006/2007 we were winners at the International Eisteddfod, Llangollen, Wales winning the Celtic Massed Ensemble Music Competition. 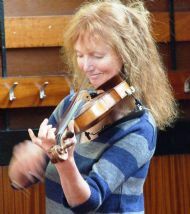 Alpha Munro is the founder of Kiltearn Fiddlers, she teaches for Fèis Roisand other Fèisean. She works as a free lance community musician with community arts groups, plays with local bands and uses music as an aid to help children with physical and learning diffculties . She also writes her own music.